Fanfare Ciocarlia, one of the most famous Roma brass bands, are from a hidden village in the rural idylls of Romania – and who have proved over the years that their exhilarating bombastic sound is a force to be reckoned with. On Devil’s Tale the heady band joins forces with virtuoso guitarist & Django Reinhardt aficionado, Adrian Raso from Canada to create a delightfully stirring voyage with beautifully realised influences and quirks. On one hand some may see the album as expanding on Roma musical heritage throughout Europe and beyond to the Americas, but (as if that wasn’t enough!) there is even more here. From charming French gypsy manouche numbers to delicious Roma brass blasting punctuations and oom-pa padding; from a surfing guitar to a night at the cabaret, with Arabian & Mediterranean musical twists & turns. At times you may find yourself wondering if you are listening to the soundtrack for a Spaghetti Western hero, or wondering how the theme tune to Inspector Gadget has worked its way into the mix. The album is so enriched with warmth throughout that it’s impossible to listen to without a smile. This is the kind of music to let your hair down to – by the end of the album you have the feeling that you’ve just been at the best party ever, shouting for the band to play another number. The Satellite State Disko hopes to hear more from this great collaboration again – another album please Asphalt Tango! This is the third album from the magnificently flamboyant Gabby Young and Other Animals, and here they again explore a broad range of musical palettes beyond the circus swing that they are known for. One Foot In Front of the Other brings more of Gabby’s caravanesque influences including gypsy jazz, Balkan brass, chanson, folk, cabaret, and an intimate singer/songwriter narrative. The opening of the seductive Sur la Lune…(A French Ditty) is gorgeously thick with escalating harmonies of voices, strings, accordion and a trickling piano – all reminiscent of a Parisian bar soaring towards a distant planet somewhere on the edge of the universe. Gabby’s classical training and the breadth of her stylistic range is very evident throughout. From operatic touches to a balladic wistfulness on tracks such as Another Ship, Fear of Flying and Saviour, Gabby’s voice goes from effortless silk to a powerful blast of fury. Each song is enriched by exquisite instrumentation ranging from acoustic guitar, ukulele, violin and piano to wild trumpets, trombones and carnivalesque surprises. The bawdy cabaret of I’ve Improved and the drama of The Devil Has Moved In have lyrics that tell of worldly insights, lessons learnt and passionate wrath. The album is a good representation of the belting extravaganza of a show that Gabby and her band gift their audiences at each gig. 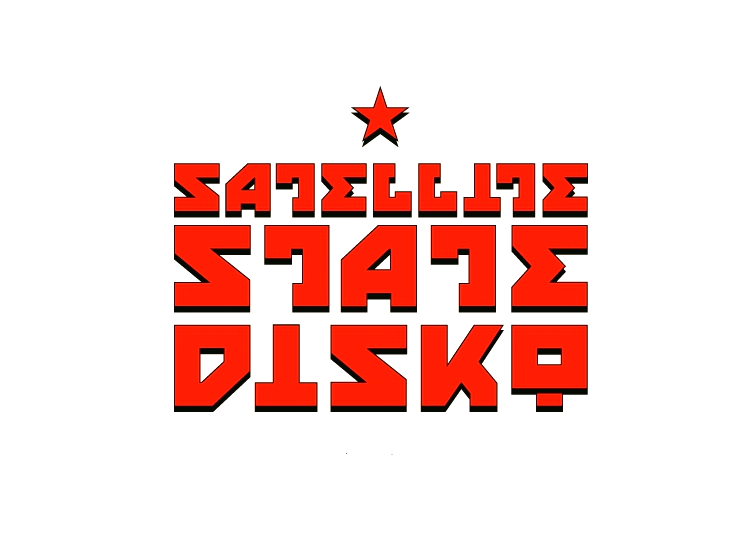 If you haven’t yet, the Satellite State Disko strongly recommends you see them live in 2015 – not to be missed! This was never going to be a run of the mill act. 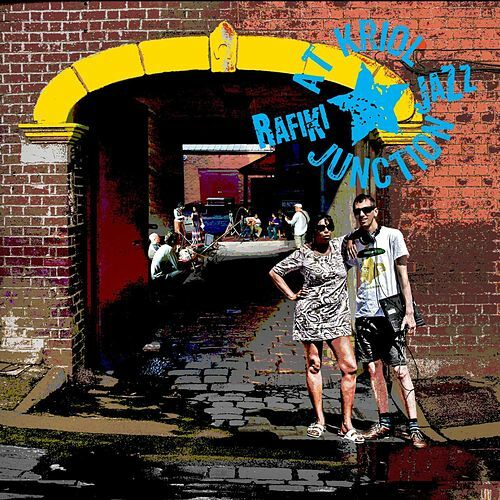 Rafiki Jazz is possibly one of the most diverse bands in the UK: with a host of musicians spanning three continents and incorporating UK refugee artists at its heart. At Kriol Junction is infused with international histories and political attitudes borne from exodus, lost homes, broken promises, and the quest for refuge and sanity. The album was recorded live, so throughout has the feel of actually being there at a private gig – all happening ‘oop norf’ in a Sheffield warehouse, of course! With references such as the 1948 Universal Declaration of Human Rights the subject material is by no means light-listening, however it is balanced well with the immense sincerity and compassion coursing through tracks such as Declaration Kriol: “My heart goes out to the ones that suffer, for wanting to live in a free world. Live in the free world”. The album establishes that the band is a collective in the truest sense: each band member impressive in their own right, but united in message and purpose. And as Rafiki Jazz demonstrates – unity is strength. It’s another release from the Asphalt Tango label on our ‘Best of 2014’ – but this one is far too unique to leave off the list. The Soundwalk Collective is actually a sonic art collective in essence, rather than a band. If you haven’t heard of them, the clue to their approach is contained within their name. Based in New York & Berlin, they have produced an extensive catalogue of unique immersive soundscape guided tours and sonic pieces sourced from their travels. The recordings are captured and often exhibited on site, woven together using a variety of tape loops, turntables, and laptops amongst other machinery. Sons of the Wind is in entirety one track, 49 minutes in length. The album is a truly immense tapestry of found sounds and field recordings. The entire auditory expedition trails the route of the river Danube, with Roma people and environments that they came across at the heart of this journey. The piece was recorded in Ukraine, Romania, Moldovia, Bulgaria, Macedonia, Serbia, Hungary, Slovakia, Austria and Germany. Also captured are some of the renowned luminaries of Roma music including Esma Redzepova, Ferus Mustafov, Jony Iliev and Boban Markovic amongst the notable names. But here they are captured in an entirely different setting to the usual track-by-track format of albums. Here they smoothly flow into the narrative fabric of this epic journey. If Sons of the Wind sounds otherwordly in description, that is because it is. At times the soundscape is whipped into delirium with reverb, echoes and an assortment of effects. Familiar Roma melodies appear in playful arrangements for example beatboxing and synth voices, complete with dogs barking and farm yard birds crowing, and motor vehicles. What the Soundwalk Collective have responded to is not only sensory, it is emotional and social. There is a strong current of Roma historical journeys, families, people, humour – and tragedies. The International Romani anthem Djelem Djelem poignantly seeps through into the picture, telling of the ‘Porajmos’ – also known as the Holocaust – which murdered a huge proportion of Europe’s Roma people – some experts say a quarter. At this point you really understand that what you have been listening to is profound: the creators have truly grasped this portrait of the people, their communities, the Mahalas (ghettos), the Danube, its surrounding geography and environment with intricate awareness and sensitivity. And even if you have travelled to or lived in these regions, this work by the Soundwalk Collective has created such an inspired angle that you are sure to have the feeling that you have rediscovered something.